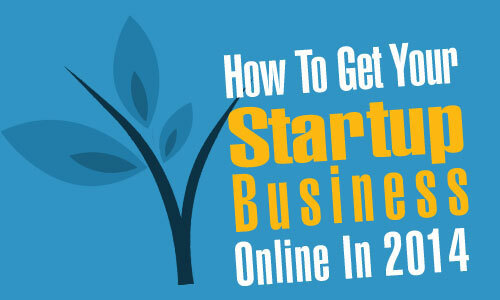 Are you trying to get your startup business online? Its tough making an impact on Social Media its become extremely crowded out there with everyone sending their own messages out. So we have created some tips to help you get started and stand out from the crowd. The Holy Grail – Viral Marketing. One of the best forms of advertising yet the hardest to get right. Not everything is going to go viral but aim all your advertising at being quirky and informative and you’ll have a good chance of standing out against the crowd. Many people now use Mobiles and Tablets as the main way they search the net. If you don’t optimise your content for difference devices your losing potential clients. Make sure your website works on Mobiles Phones, and don’t use massive images on Social Media. Getting good quality inbound links to your site. Promoting your site on Social Media. Influencing the Blogosphere by commenting on Blogs. Joining Online Forums and Networks. Add your site to good quality business directories like Freeindex. Join Google+ Links from here can help your Website SEO. Choose your Social Networks Sites. There are thousands of Social Media website out there. Unless you have a team you can’t possible take advantage of them all. Concentrate on 2-4 networks that you feel comfortable with and works for you. Hashtag are a great way of getting your Post or Tweet out there and organising them so they can be found. People can search for them and it gives you a wider impact, so add one or two relevant Hashtags to your Post or Tweet to reach more people. One bug mistake some companies make is just sending out their message and not engaging with people. The clue is in the name Social Media its about being social and engaging with people. Yes get your message out there but don’t forgot to talk to people its the best way of getting your startup business online. Unless your Coca Cola and have millions of pounds to advertise, one of the key assets you have is you. People like to know who they are dealing with be professional, be courteous, and be you. All advertising should be informative. Don’t just post adverts on Social Media, you have to inform. Wright articles that help people, answer questions, and post great articles you have read from the internet. What better advertising than solving people problem? Social Media as in life timing is everything. Find out the best time for you to Post or Tweet. See what works and what doesn’t and see what the time gets the best results. One of the most important tips is to, listen to what people are posting, interact with then answer their question. We have two ears and one mouth for a reason. Getting your startup business online can be a minefield, especially if you’re not used to using Social Media. There is no secret hidden tip that will work wonders. However sticking to basic and just engaging will help you get you started. Have you got some tips or a good Social Media story? Tell us about it below in the comments.